Rely on Adelaide’s Mott Plumbing for all your gas fitting and gas installation needs. The Adelaide plumbers at Mott Plumbing are experienced in an array of gas fitting services, including gas leak detection and repairs, complete installation of gas appliances, installation and repair of gas hot water systems, and repairs and replacement of existing gas piping. Whether your gas appliances use LPG or natural gas, our expert plumbers can help you to solve any gas fitting requirements that you or your business might have. We are able to take care of all of your gas fitting needs, whether the pipes or appliances require upgrades, extensions or a complete replacement. Our Adelaide plumbers are here to help with your gas piping, gas hot water system and any gas appliance. We can service, repair or replace gas appliances such as gas space heaters, gas hot water systems, gas ovens, gas cook tops, upright gas ovens, gas BBQ’s, gas pool heaters and wall furnaces, to name a few. Gas leaks can be a very dangerous problem. If you suspect that you may have a gas leak, it’s essential that you get a qualified gas fitter to test and confirm whether a leak is present as quickly as possible. Our Adelaide emergency plumbers are available 24/7, and will be able to come and repair any possible leaks to keep you and your family or your business safe. Don’t hesitate to give us a call regarding your gas leak concerns any day of the week. 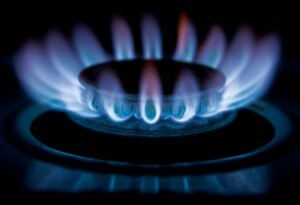 If you have any issues or concerns with your gas piping or appliances, just give the experts at Mott Plumbing a call. Our team is available 24/7 to help with your enquiries.